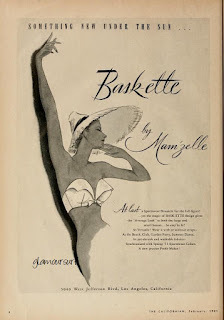 Bask-ette by Mamzelle, and no it's this ad is not for the hat. That's what I originally thought before reading the text. 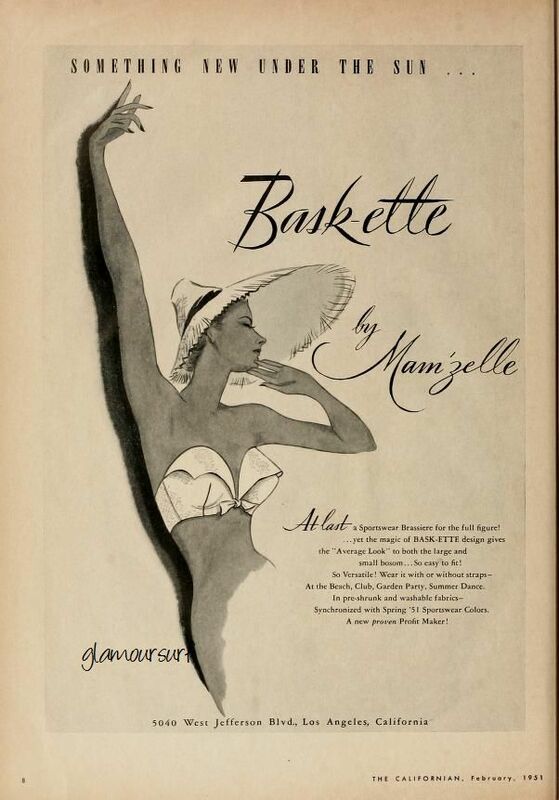 The Bask-ette is a sportswear brassier for the full figure. "The magic of Bask-ette design gives the "average look" to both the large and small bosom. So easy to fit, so versatile. Wear it with or without straps. At the beach, club, garden party, summer dance. In pre-shrunk and washable fabrics, synchronized with Spring 1951 sportswear colors."